Elevator Matting - Commercial Flooring & Mats Vancouver | Source Floor & Specialties Inc. 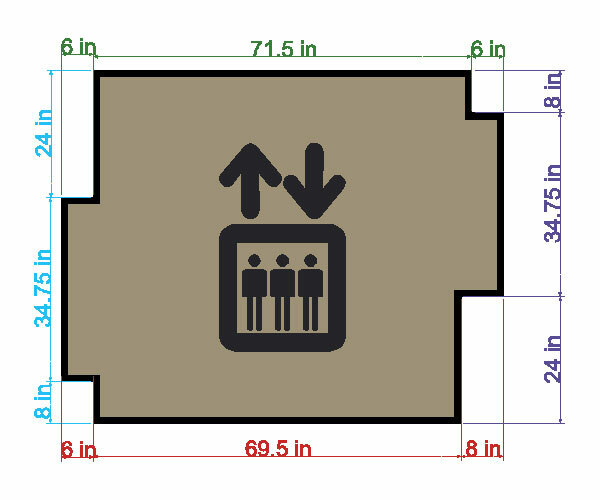 Source Floor specializes in precision custom-cut matting for your cargo and traffic elevators. Whether you’re looking for something to protect your elevator’s existing floor from damage during tenant move-ins / move-outs, or looking for a logo mat to beautify and dress-up your elevator’s appearance, Source Floor can help with the supply (anywhere in Canada) and installation (in Greater Vancouver) of the flooring product that meets your needs. We recommend leaving a 1/4″ gap around all the edges, and round your measurements down to the nearest quarter-inch. Most of our elevator mats are made from our Kermode premium knob-style matting. Click here to see all the colour options!